Welcome to the Blackhawk Real Estate Guide. This is your number one resource for buying and selling a home in the Blackhawk neighborhood located on the westside of Madison. The Blackhawk neighborhood in Madison WI is renowned for its Parade Homes and acres of parks. Located in a quiet area on Madison’s westside, these upscale homes are in high demand. Middleton-Cross Plains School District serves the area and you are a short commute to Downtown Madison. Call us today if you are interested in purchasing a home in the Blackhawk neighborhood or if you are thinking about selling your home in Blackhawk. 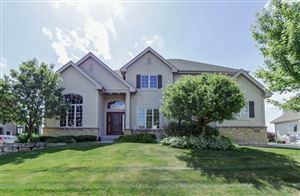 See all Blackhawk Homes For Sale.